​Even as a youngster, it seemed it was Philippe Coutinho's destiny to play for Barcelona. He achieved that dream in January 2018, but things have not gone to plan. Not at all. The Brazilian looks a shell of the man who terrorised Premier League defences with Liverpool, and now there's talk of the Blaugrana cutting their ties with a man who has hindered the team more often than he has helped. 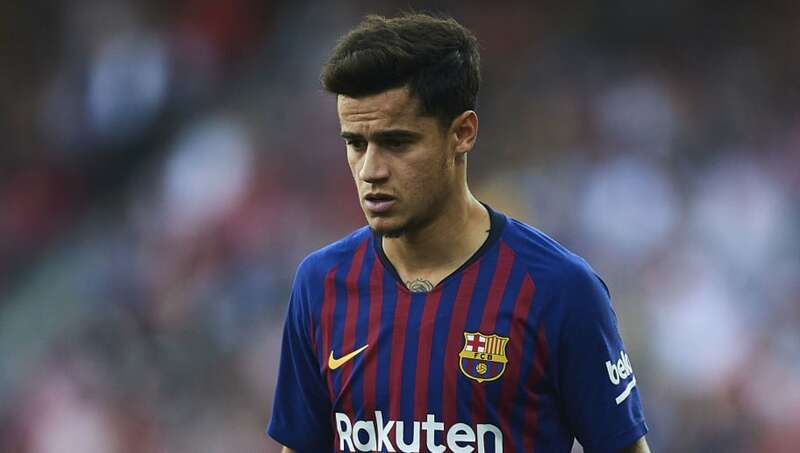 His departure would likely create a fresh transfer merry-go-round, and here are six players who could replace Coutinho at Barcelona. Why replace Coutinho when you already have a £136m man ready to take over? ​Ousmane Dembele has looked like the player ​Barcelona wished Coutinho was, but the Frenchman has been forced to rotate with Coutinho as Ernesto Valverde has given both every chance to impress. The decision seems simple. Move on from Coutinho, and give Dembele twice as many starts to compensate. He already has 14 goals and eight assists this year and, at 21, the sky really is the limit for the former ​Borussia Dortmund man. No need to check your calendars, it is 2019 and Antoine Griezmann is once again nearing the exit door of the Wanda Metropolitano. The Frenchman put to bed any talk of a move to Barcelona by signing a new contract last summer, but that seems to mean little anymore. The World Cup winner is still widely regarded as one of Europe's top forwards, but it appears he has grown frustrated with life with ​Atletico Madrid and their failure to win regular silverware. A move to Barcelona would certainly give Griezmann what he wants. Comfortable as both a central striker and in a wide or supporting role, Griezmann would offer Barcelona some much-needed versatility in attack. If he's available (and it looks like he will be), they should move for him. The heir to ​Lionel Messi's throne with the Argentina national team could also be the man to fill his shoes at the Camp Nou. At this stage of 2018, ​Paulo Dybala's exit from the Allianz Stadium seemed unfathomable but, with the arrival of ​Cristiano Ronaldo, Dybala's future seems up in the air. He's struggled to be at his best alongside the superstar forward, netting just four ​Serie A goals in 25 outings. As a result, he has found himself linked with a move away, with the likes of ​Liverpool and ​Inter said to be keen. However, unless they have an alternative lined up, there is simply no way Barcelona should allow him to pass them by. The on-field relationship between Dybala and Messi has come into question in the past, but the two are both supremely talented footballers. They can certainly make it work, and the results could be stunning. Perhaps Barcelona signed the wrong ​Liverpool star? ​Sadio Mane has been in breathtaking form for Liverpool this season, helping to draw attention away from ​Mohamed Salah. He already has 20 goals this season, which is the kind of form that could get him a move to the Camp Nou. Mane is a left-sided player, and would feel right at home on that side of Barcelona's lineup. He is also comfortable both centrally and on the right, which will only make him more appealing to the Blaugrana. Whilst a potential Mane-Coutinho swap deal is unlikely, it will always be rumoured until the day it is no longer physically possible. The Senegal international is the kind of star Barcelona need, and they should look to lure him away from Anfield. Few players know how to make an impact from the left wing quite like ​Son Heung-min. The ​Tottenham Hotspur man has been in typically excellent form this season, but is again facing the prospect of finishing a season without any silverware. Nobody at the club seems safe from an exit, from Mauricio Pochettino to ​Harry Kane. There is a growing fear amongst supporters that something simply is not right at the club. They have been trending in the right direction, but have again failed to answer the majority of their critics. A big-money move to the Camp Nou could be too good to turn down for Son, who could leap at the opportunity to join a side who know what it takes to win trophy after trophy. Felipe Anderson spent many years starring on the right of Lazio's attack, but looks to be a completely new animal as ​West Ham United's left winger. The 25-year-old has been in excellent form all season, racking up nine goals and five assists all season, but the Hammers remain lost in mid-table obscurity. Despite his obvious talent, Anderson is yet to experience life in the ​Champions League.​ He is unlikely to achieve that with West Ham, who look to be struggling to qualify for the Europa League this year, but he certainly looks like a player who should be featuring on Europe's grandest stage. His speed and creativity would fit seamlessly into Barcelona's forward line, and Valverde should recognise that. If they lodged a sizeable offer, West Ham would likely be powerless to prevent Anderson pursuing the move.